Last week we learned about how your house is made smarter with the help of Smart Home Hardware, which are smart-home platforms that speak to smart home devices that control your house temperature to re-ordering stuff for your fridge to securing your home. You would have then understood that with so many smart home devices available under Amazon, Google and Apple, it can be tricky to get them all working together when you’re blending devices from a bunch of different manufacturers. So how do you choose a Smart Home Hub that can speak to different devices from different brands? Let’s find out! Samsung SmartThings has been around for quite a while now, and is a device that has seen a couple of hardware updates over time. The Samsung SmartThings Hub itself is a compact box that resembles the Apple TV. It has a single LED status light on the front side and a power port, a reset button, two USB ports for charging or powering various devices, and an Ethernet port on the back. 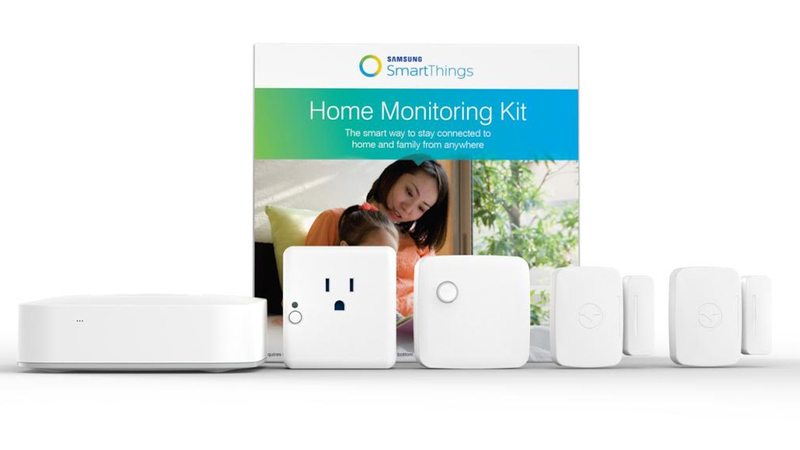 The Samsung SmartThings smart hub offers first party accessories that include water sensors, motion sensors, and general multi-purpose sensors that can be used to detect when doors are opened, as well as when temperature decreases or increases in specific areas of your house. If this goes on without any logical explanation frequently, you might want to call the Ghostbusters. The Samsung SmartThings smart hub works with all of the major protocols, including Bluetooth, WiFi, ZigBee and Z-Wave. 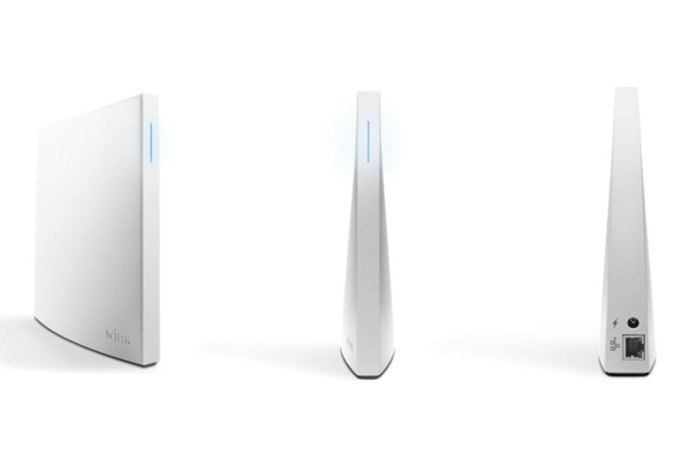 The Hub connects to your router via a wired ethernet connection and infiltrates your airwaves with a signal that the smart home devices respond to. This year, all Samsung SmartThings devices will hook into SmartThings Cloud – a powerful new service that uses a cloud-based hub to connect everything from your lights and washer to your thermostat and smartphone all into a single unified platform. Once the hub is installed, you will then download the accompanying iOS, Android or Windows app, and start syncing your devices, a pretty easy step. Next, you can set up automatic ‘routines’, which often uses the motion sensors that come with the hub as triggers. So, for example, you could create a routine to turn on your hall light bulbs once you open the front door, followed by switching on the air-conditioning unit and the music entertainment system, all automatically with one trigger. Given the vast amount of smart tech available, teething problems are bound to happen when it comes to getting them to work optimally with the SmartThings hub. And until the industry agrees on a standard for wirelessly connecting smart devices from different brands, there will continue to be compatibility issues. The Wink Hub 2 supports Z-Wave, Zigbee, Lutron Clear Connect, Alexa, Google Home, and Kidde devices, has built-in support for Google’s Thread interface, and will also connect to Bluetooth LE. The Wink Hub 2 is tall and thin and meant to sit upright at 7.25 inches long and high, and 1.25 inches wide. At the back, you’ll find a power jack and Ethernet port. Unlike Samsung SmartThings, Wink Hub 2 lacks a USB port and a battery backup and to make up for this the Wink hub has 512MB of memory and support for 2.4 and 5GHz Wi-Fi. The thing that really shows Wink is looking to the future, though, is the Thread radio. Setup is pretty easy: You download the app (iOS | Android), create an account, tap on the add products button, select hubs, choose Wink Hub 2, and the app leads you through the steps. The Wink hub has 22 categories of devices it works with — including lights, locks, sensors, fans, cameras, doorbells, fans, and garage door openers. Pairing specific devices manually can be a tiring process but the Wink app comes pre-loaded with a barcode scanner that allows you to scan some products’ bar codes in order to get them paired up almost instantly. Bonus points for convenience! If you really want to impress your friends, and you also happen to own an Amazon Echo Plus, the two are able to work together to control devices around your house. Unfortunately, the Wink Hub 2 is not compatible with Apple’s HomeKit. Creating home automation routines is simple. Routines are called Robots, and their setup is very similar to IFTTT. First, you define the trigger condition; then you select what you want to happen when the condition is met. With a few taps on the screen, you can have the Wink Hub 2 to automatically turn on the lights when you come home, or you can set up your smart lock to automatically lock when all family members are at home and it’s after 11 pm. The VeraPlus smart hub isn’t as well-known as the Samsung SmartThings hub or the Wink Hub 2, but this is a very robust platform which comes with a higher price tag. 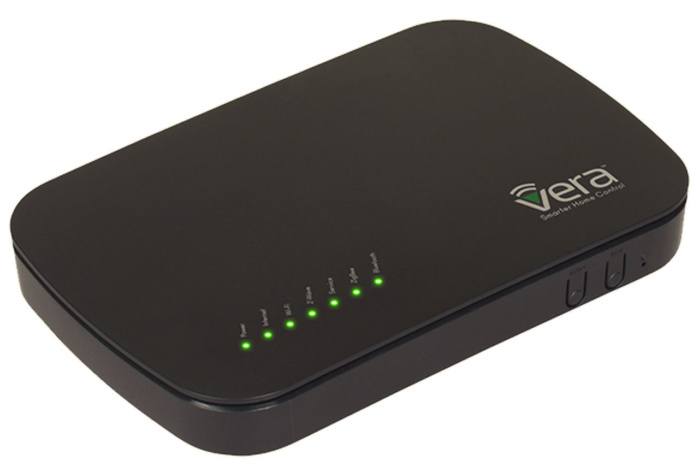 Vera claims that the VeraPlus smart hub is compatible with over 2,000 devices, and you can have up to 220 unique devices connected to the smart hub at one time. That’s substantially more smart devices than the average person will ever have in their home unless you have a really really really big home. The VeraPlus loses out by the more affordably-priced Wink Hub 2 when it comes to the number of supported protocols such as ZigBee, Z-Wave, Bluetooth and WiFi. It doesn’t solely rely on an internet connection like other devices do, so even when your internet goes off, you can still control all your appliances. The VeraPlus isn’t the most user-friendly product, but it’s not as complicated as long as you have a fair knowledge of basic protocols. Once you have set the system up, it’s easy to maintain. Navigating its dashboard is simple enough, but key things such as setting up notifications are less intuitive than they should be, and a variety of drop-down menus quickly take you into bewildering screens full of dense technical parameters that an average user won’t have a clue what to do with. If I lost you at “technical parameters”, VeraPlus is not for you. Only the most passionate—and patient—smart-home enthusiasts should venture into the Vera Plus. With Vera Plus, it is easy to group smart devices together to create intelligent "scenes", including "if-this-then-that scenarios" - whether it be for comfort, convenience, energy saving or security. It is used alongside a Vera U17 app for iOS, Android and Windows smartphones and can be used with a Windows laptop or computer. In additional to controlling Z-Wave, Wi-Fi, Zigbee and Bluetooth devices; there are also over 300 free downloadable Vera applications to expand your smart home control even further. The new Echo Plus speaker doubles as a smart home hub, one that connects to various wireless protocols to set up and control connected home gadgets and appliances. 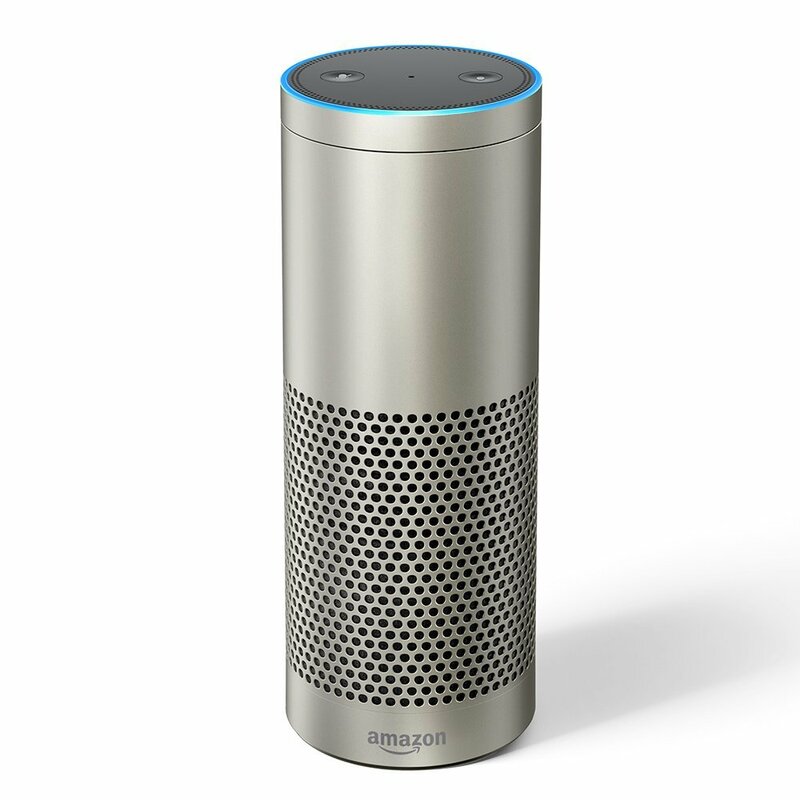 The Amazon Echo Plus looks almost identical to the original Echo, released in 2015. It's a big industrial-looking metal cylinder 235mm tall and 84mm wide, letting it fit almost anywhere in your kitchen or living room. It can be controlled with voice commands but there are two hardware buttons on the Echo Plus's top. One mutes the mic and the other activates Alexa without using the trigger “Alexa” voice command. Volume can be manually tweaked too with a rotating ring at the top of the Echo Plus, another feature carried forward from previous Echoes. After a simple set-up process that links your Echo Plus to your Alexa phone app and home Wi-Fi connection, you’re ready to start sending voice commands at the smart speaker. Like SmartThings and Wink Hub 2 it allows to create custom phrases to trigger or schedule a number of actions to occur at once called Routine. For instance, you could create an “Alexa, I’m home” command, which could then turn on your heating and lights and rattle off your to-do list. They’ll only become more powerful as more third-party Skills become compatible with the feature, making for a versatile new addition. For now, Alexa also has the widest support for smart home devices, beating Google Home. Before buying it's a good idea to see whether the smart gadgets you daydream about support Alexa. You'll usually see it described as "works with Alexa" if it does. The smart home is still very much in its infancy especially in Asia, and there’s no one magic hub that’s the ultimate device for smart home control and automation. 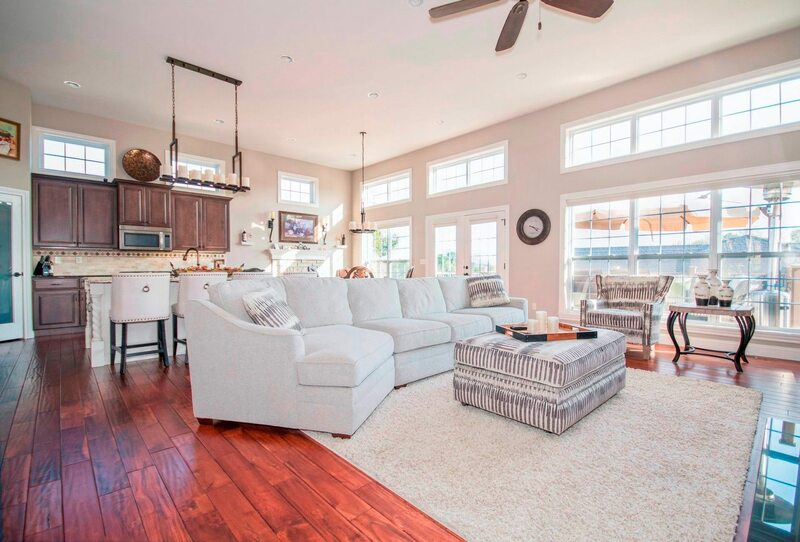 Hubs are getting better over time, and if you can’t wait to create a smart home for yourself, there are some great options for you. Compatibility: The most important thing to consider is device compatibility. Smart Home Hubs are built specifically to work across different standards, but that doesn’t mean they all work with every single smart home device. The most common standard is probably Wi-Fi, but some devices also use Z-Wave, Zigbee, Bluetooth, and more. Voice control: You would know by now that some smart home hubs have started evolving into smart speakers that also connect to a range of smart home devices. The most common of these smart speakers is Amazon Alexa, which connects to smart home devices and allows you to control them using only your voice. Google Home is another option, and Apple will soon release the HomePod, which will work with HomeKit products. The app: Smart home hubs are generally controlled through a smartphone app, and the next determining factor should be how easy the app is to use and how much that app can do.